There are many popular dog training books to help you negotiate the shifting sands of dog obedience training and to help with behavior (or other) problems. As soon as Fifi has made herself at home you're going to need to begin to teach her some basic manners and obedience commands. To help you get started with the minimum of fuss, I've put together a list of some of the very best books on dog training. Most of them focus on obedience training, but I've included a couple of house-breaking guides as well. Many of these are on my bookshelf, and some are 'bibles' that I return to again and again. I've also included a handful of dog training dvd's. Some are stand-alone products, others are great back-up to the relevant books. They're all great at demonstrating proper dog training techniques and exercises, and if you're a first-time dog owner, that little bit of extra visual help can make it all much less confusing for both you and your pup. There are LOTS of choices out there, but I want to share my favorites.... puppy tested, owner approved! A well-trained dog is a joy to own, and can go anywhere with you. An untrained one can make life complicated, frustrating and messy!. This is one of my all-time favorite dog training books! As well as being an excellent, in-depth resource on everything you ever wanted to know about training a puppy. 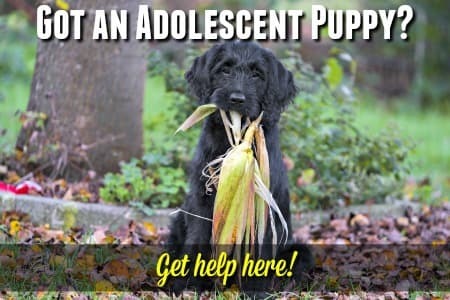 It has a wealth of information on puppy development and behavior, plus the answer to all the questions you'll come across as you raise your pup. This book has been on my shelves since I brought home my German Shepherd pup, many years ago... and it's still one I wouldn't be without. The monks have a wonderful approach and amazing rapport with their dogs, and their straightforward common-sense attitude fits the bill for me. This is the updated version of one of the best-selling dog training books around. A very comprehensive, in-depth look at dog training, using only non-violent, positive training methods. It's a well-written, informative book, packed with advice and instructions to help you successfully train your puppy firmly but compassionately. Includes fun training games and helpful illustrations. This is one of the especially useful dog training books for owners with a shy or anxious puppy. The training methods work beautifully on these types of dogs. A good all-round introduction to positive dog training, and another of my personal favorites. This is a practical dog training book which makes a great choice for first-time puppy parents, and even experienced dog owners can find 'nuggets' of wisdom in here. The author's breezy, friendly style makes it an easy read and there are lots of step-by-step directions to follow. Along with straightforward training advice, there are also lots of 'extras' in here. 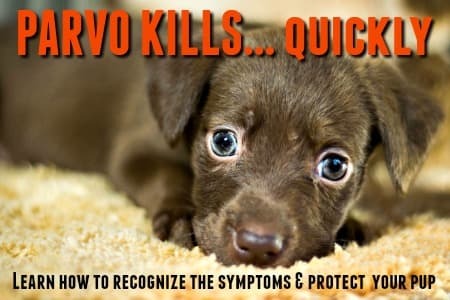 Including things like tips on making sure you adapt your training and communication style to your individual pup's personality, advice on exercise requirements and how to prevent problem behaviors from getting started. The straightforward style and gentle humor of the 'For Dummies' series make them some of my favorite books, no matter what the subject! Covers a wide range of topics including diet, socialization, behavior, basic obedience and manners, and it even gives advice on advanced formal obedience for owners who want to keep going. In this easy to read book, you'll find that the 'Fun, effective and easy puppy training' it promises, is a very attainable goal. The writing style, and use of simple, straightforward terms, makes this dog training book very readable. It shows you exactly how to raise and train a happy, well adjusted dog. There's no need to be nervous, or feel intimidated by the thought of puppy training. With this book by your side, it doesn't have to be a challenge. In fact, it can be a lot of fun for both you and your puppy, and play a huge role in building a strong, healthy pup/owner relationship. An added bonus for new puppy parents, is the DVD that comes with the book. Little dogs have their own special needs in all sorts of areas, and dog training is no exception. The information, tips and training techniques in this lovely book , are specifically designed with the pint-sized pooch in mind. Tiny dogs can be wriggly, defiant and sometimes seem to have the attention span of a gnat! ... which can mean that the average training methods (which fit medium to large breeds so well) can be difficult and ineffective. The author approaches all the small dog issues with love and ingenuity, and you'll find this dog training book will help you understand, communicate with, care for and train, your tiny pup easily and effectively. If your puppy is of the 'pint-sized' variety you don't want to miss this one. Potty training your puppy is one of the first, and most important, jobs that you have as a new owner. But, it's amazing how many myths and misconceptions about exactly how to do that! Another one of those brilliant 'for Dummies' books! Written with a humorous touch, this puppy training book is packed with practical tips and information. It will help you tackle the challenges of house-training with confidence. It doesn't matter if you're a newbie, or an experienced puppy parent...if you have a puppy, you need this book! This book lives up to it's name, with clear easy-to-read and easy-to-follow instructions that will help you housebreak your puppy quickly and without a whole lot of fuss. Although you can't expect to potty train a pup in a few days, or even a couple of weeks, by following the guidelines in this book you'll be on the road to success right away. Clear, step-by-step instructions plus advice on how to avoid common potty training pitfalls and a practical approach makes this a very popular book. Organized into trouble-shooting sections that makes it easy to find what you need quickly, and there are lots of 'extras' including tips on cleaning up accidents and the importance (and relevance) of proper nutrition. 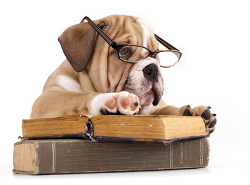 I love to read, and because I've got decades of experience with dogs I usually don't have any trouble following advice or instructions, even if there's a new 'twist' on something. I'd rather read about something than watch it! But, I think I might be in the minority on this and I have to admit that a well-produced dog training dvd can be a great way to help dog owners understand how to communicate with, and train, their pet. This DVD shows you how to teach your puppy or dog all the basics such as 'sit', 'stay', 'down' and 'come' - but there's so much more to it as well. With the same practical, down-to-earth approach as the book featured above, this dvd shows you how to show your pet what you expect by using positive rewards-based training. You can use this alone to successfully teach basic obedience and manners, but if you buy it in addition to the book you will be prepared for anything your pup can send your way! The Art of Raising A Puppy is probably is one of my all-time favorite dog training books, and this dvd set makes the perfect companion for it. There are 2 dvd's and the first one focuses on the the monks attitudes and philosophy when it comes to training. The second dvd focuses on the actual training techniques and being able to see the advice in the book 'in action' is a big plus for new owners. As with the Paul Owen's 'Dog Whisperer' DVD I'd recommend buying this as an accompaniment to the book for maximum results. Leerburg is a name that's synonymous with German Shepherds.. and absolutely anything you want to know about them! This dvd is a superb example of why Ed Frawley is so popular and respected. It's a comprehensive, practical training tool which answers all the questions you can think of... and some that probably never occurred to you! It's not the shortest or glitziest dvd, and you'll probably want to take notes, but it may well be the most informative and if whether you're a 'newbie' or an 'old hand' you can't go wrong with this.